The Medicus Integra© Award denotes formal recognition of hospitals and healthcare institutions that demonstrate significant, purposeful, ongoing commitment to the well-being of physicians. Medicus Integra© describes physicians—physicians whose lives are whole, complete, characterized by balance, purpose, and meaning; physicians who integrate their personal and professional commitments in a manner that promotes personal well-being and contributes to society in a meaningful way; physicians who are resilient, who comprehend and attend to the complex interdependence of body, mind, and spirit; physicians who combine professional competence, relational skill, emotional accessibility, and spiritual sensitivity; who value communication, learning, teamwork, professionalism, and accountability; physicians who care—for themselves, their families, patients, colleagues and coworkers; physicians who lead, by precept and example, to assure quality patient care, and to advance the medical profession. About half of surveyed physicians admit to symptoms of burnout, including depersonalization, lack of a sense of accomplishment, and emotional exhaustion. The Medicus Integra© Award was conceived and developed by the Coalition for Physician Well-Being, based upon the belief that physician resilience and well-being is not only good for physicians, but is conducive to healthy organizational culture and essential to quality patient care. For these reasons, it is in the best interest of healthcare organizations to give attention to the well-being of physicians and demonstrate intentionality in developing strategies and initiatives to prevent burnout and promote physician wellness. The Medicus Integra© Survey describes the characteristics and scope of a comprehensive institutional physician well-being program and provides metrics for assessing progress in program development. 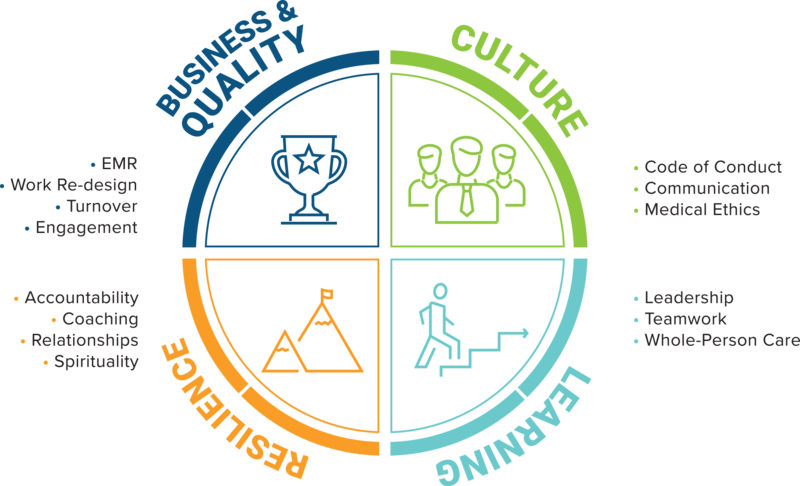 The survey tool consists of four categories, including Resilience (RSL), Learning (LRN), Business & Quality (BQA), and Culture (CLT). Within each category, itemized criteria provide clarity and specificity and describe definitive documentation and measures. The survey process is intended to provide meaningful, credible, and actionable feedback in a collegial and professional manner. The resulting report provides both commendations for observed accomplishments and recommendations for advancing the program. 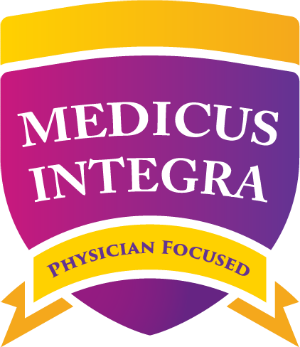 Institutions achieving Medicus Integra© designation are recognized for their commitment to physician well-being and for their documented accomplishments toward this end. The Medicus Integra© seal, awarded to successful institutions, is designed to communicate and acknowledge this achievement. If you desire additional information or wish to apply for a Medicus Integra© survey, please contact DeAnna Santana, PhD at 407-357-2153 .